Blending two classic styles is beautiful in our San Francisco Mission Dining Chair, while almost exclusively Mission in style, it does boast Shaker legs. 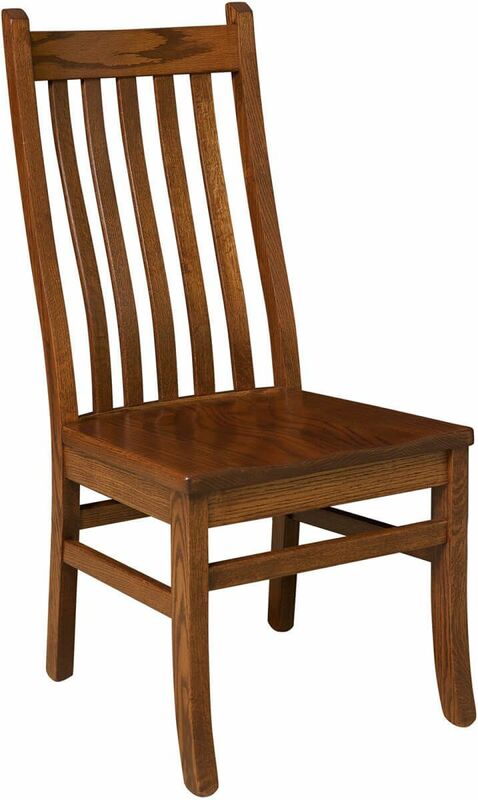 The San Francisco Mission dining chair features the finest in solid wood Amish craftsmanship. The elegant curves of real, solid wood strips form a comfortable support for your back, while the ample seat is gently contoured for extra comfort. Shown in Oak, this kitchen chair is built to order just for you. For added luxury, choose for our wide selection of genuine leathers or quality fabrics for a custom upholstered seat for your Mission dining chair. 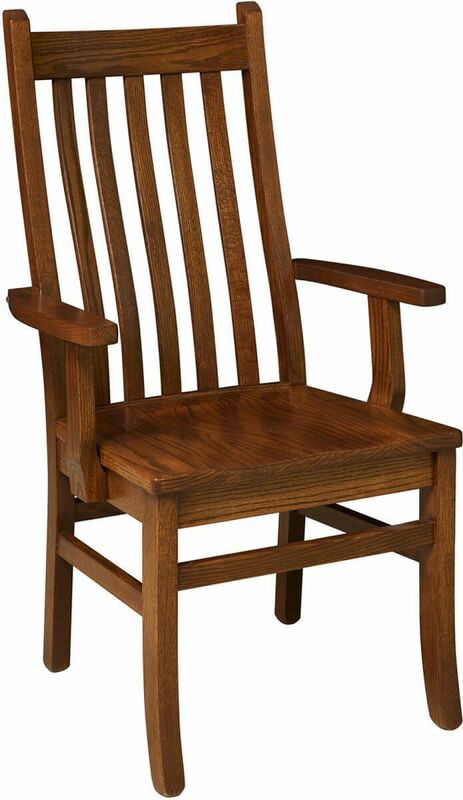 Design your own San Francisco Mission Dining Chair and Countryside will deliver to your home or restaurant.